Fundraiser for Access of West Michigan raises a record $3,792 to cultivate solutions to poverty. 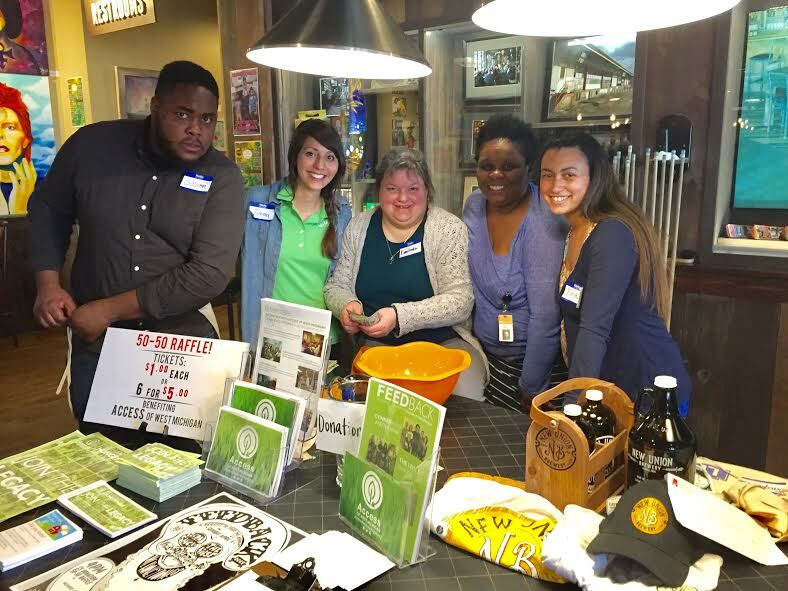 Through a $5 donation cover charge, a 50/50 raffle, silent auction and a board match, the event on April 9 at Founders Brewing Co. raised $3,792 to support a thriving food system through programs at Access of West Michigan. The event featured The Honeytones, Conrad Shock and The Noise and The Legal Immigrants. What do rock’n’roll and food security have to do with each other? On Sunday, April 9, they came together in an entertaining way. On a beautiful Sunday evening, Local Spins hosted the Feedback benefit concert supporting Access of West Michigan at Founders Brewing Co. in Grand Rapids. The event featured great music from local bands of The Legal Immigrants, Conrad Shock and The Noise and The Honeytones. The 23rd annual concert also drew in a $5 donation upon entry to support the programs at Access of West Michigan. 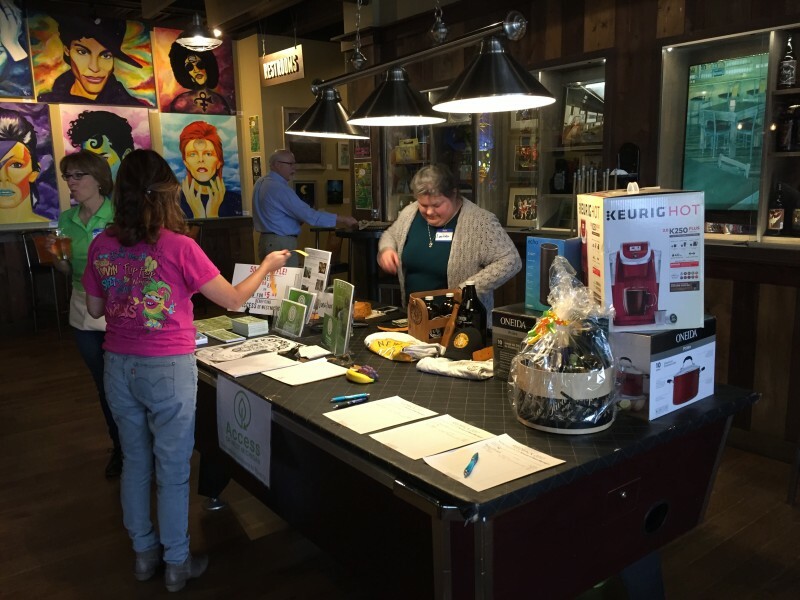 Access also raised money in a 50-50 raffle and hosted a silent auction including prizes like a coffee Keurig and brewery paraphernalia. Access of West Michigan is a nonprofit organization in Grand Rapids that works to cultivate solutions to poverty through the farm to pantry program, poverty education and casework. With temperatures reaching into the low 70s on a Sunday evening in April, the venue was full, both inside and outside on the patio area. After a six-hour event from 4p.m. till 10p.m., Access had raised a record-setting $3,792 from donations, raffle tickets, the silent auction and the board match. It was truly a reason to celebrate on the 23rd annual event. The event also raised awareness about the issue of poverty in the community and shed light about opportunities Access provides. Several staff members at Access spent their evening mingling in the crowd and sharing about what Access does and how people can get involved. The live bands who call Grand Rapids home brought energy to the attendees, as their genres align with the styles of rock’n’roll. The Honeytones opened the evening, led by John Sinkevics, Local Spins publisher and musician. He and his band, including Charley Honey, Tom Taylor, Matt Fouts and Susan Beerens, began and continue to lead the annual Feedback concert. At 5:30, Conrad Shock and the Noise took the stage and energized the crowd with their catchy rock, blues and folk. Wrapping up the night was the rockin sounds of The Legal Immigrants, who know the Founders’ stage well. The Access staff were ready to serve, by greeting, selling raffle tickets and sharing more about Access. Not only was the staff impressed, but the attendees as well. "It was wonderful to see a large crowd on a Sunday afternoon come and support such a wonderful cause,” Denise, a visitor of the concert, said. The support continued into the following week as Good Pizza Co. in Grand Rapids created their own “Honeytone” pizza, in honor of the fundraiser’s creators. From the week of April 10-16, $2 from each sale of this pizza was donated to Access. Need a visual recap? Local Spins has a great review including even more photos and videos.